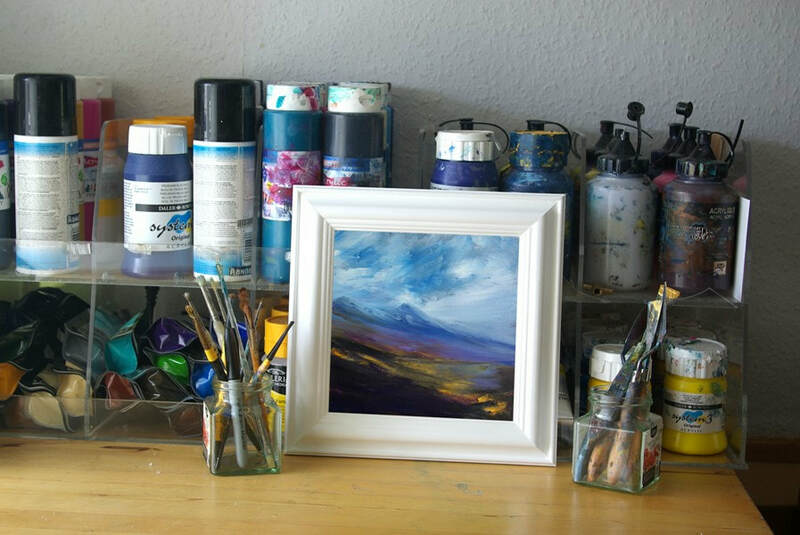 ﻿An original Scottish mountain moorland painting, inspired the heather clad grouse moors of the Angus glens, around Glen Esk and Glen Lethnot. In my youth I spent many seasons grouse beating on the Gannochy and Hunthill estates, watching the dramatic light and weather move across the hillside. 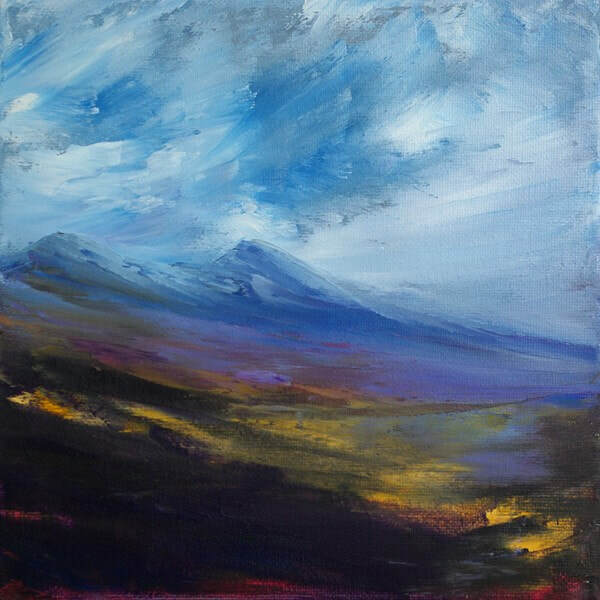 Painted on a small square 8" x 8" canvas in acrylics in shades of blue and purple colours . Available as professionally printed fine art giclee prints 12" x 12" or 20" x 20" on textured watercolor style paper. Other custom sizes and finishes are available to order.